Do you know what vital information to have on hand in the event of a natural disaster or family emergency? When an unexpected situation arises, there's no time to sort through paperwork, no matter how essential it may be. Having everything you need in an organized emergency binder can streamline the process and give you peace of mind. Vital records like birth certificates, driver's licenses, Social Security cards, naturalization documents, passports and child custody papers. Insurance policies, including homeowners, renters, auto, life and health. Property records such as real estate deeds, rental agreements, and vehicle titles and registration. Financial documents like wills, trusts, powers-of-attorney and funeral instructions. 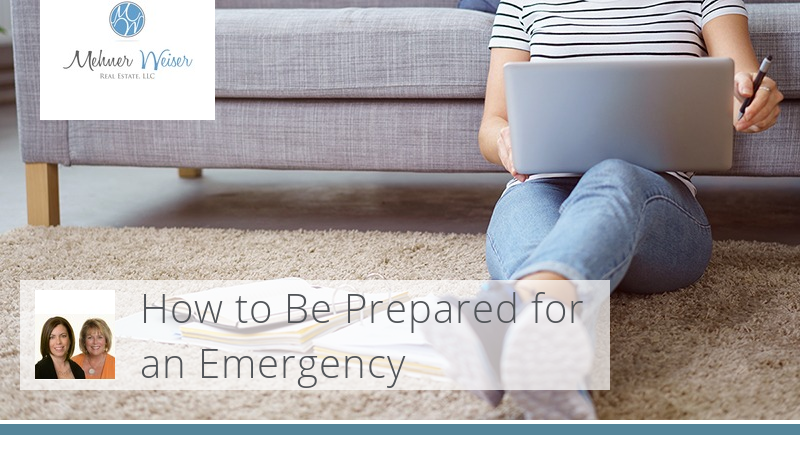 A family emergency plan with contact information and predetermined meeting places. Some items, such as account passwords and a backup of critical computer files, aren't suited for a portable binder. Instead, house them in a secure location like a safety deposit box or lockbox. You can also include a home inventory list, contracts, business paperwork, tax returns and investment records. Play it safe and include a recent photograph of every family member, along with fingerprints and dental records. You may also want to store valuable memorabilia, jewelry, and priceless family photos, letters and documents here as well. There's no way to predict when misfortune will strike, but that doesn't mean you shouldn't be prepared. Set aside an afternoon to create an emergency binder that can help protect your family when time is of the essence.